We provide a wide range of medicinal gas cylinders, which are made for the purpose of storing medical gases usually required in hospitals. 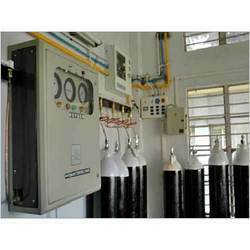 These cylinders mostly carries oxygen gas, while they can also carry other gases such as co2, nitrous oxide, etc. Our excellent range enlists CPAP Machine, Aluminium Cylinders, Medical Gas Cylinder (Light Weight Aluminium and Iron Cylinder) and Medical Gas Pipeline, etc. We are one of the few names to offer Medical Gas cylinders at industrial competitive prices. Designed in accordance to international quality standards, by leading manufacturers these medical gas cylinders are available in various sizes and capacities. We offer clients medical gas pipeline fabricated from Copper, Mild Steel and Stainless Steel for handling different gases like Oxygen, Nitrogen, LPG, Helium, Air, Vacuum and Carbon-di-oxide at manufacturers end. We lay central gas line for Medical use which also includes different pipeline accessories. 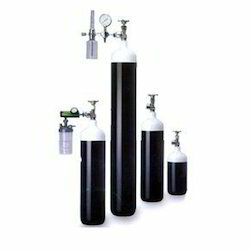 Looking for Medical Gas Cylinder ?